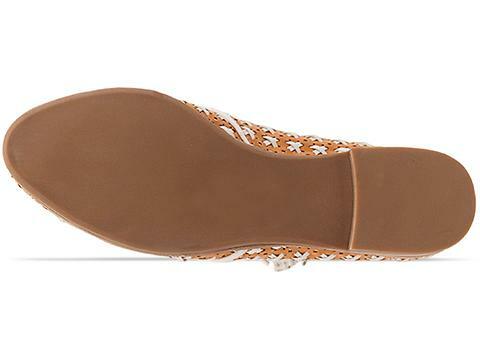 Today's So Shoe Me is the Mikhail by Jeffrey Campbell, $150, available at Solestruck. 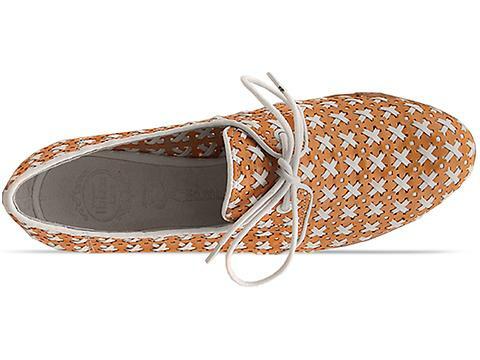 A woven wonder in a fresh neutral palette creates a must-have oxford for transitioning from winter to spring. 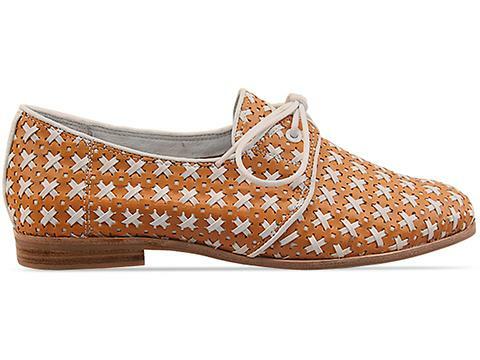 A cool 70s vibe mixed with menswear details makes these lace-up oxfords the perfect flat for work or play. The bright white cross-stitch pattern mixed with a rich camel leather is a classic colorway that's not too stuffy. Perfect for pairing with on trend jewel tones like emerald and oxblood, these everyday oxford will look just as good with signature socks in winter or bare legs in spring. Wear these retro woven brogues with a mod shift dress, over the knee socks and a swinging cape for a cute and chic winter look. So Shoe Me a pair of criss-cross woven oxfords that will add a vintage flair to my favorite separates anytime of the year.